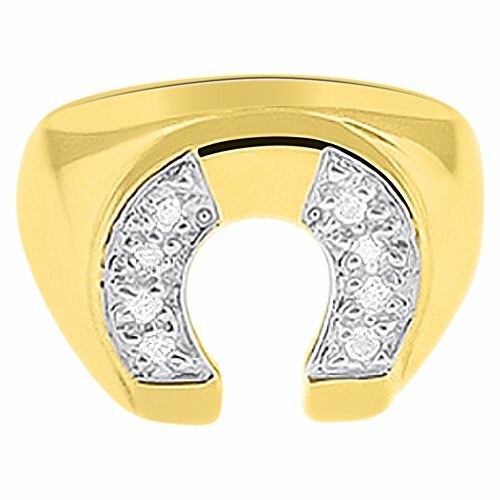 This uniquely designed men's horseshoe ring is crafted in highly polished 14k gold and outlined with natural black diamonds. 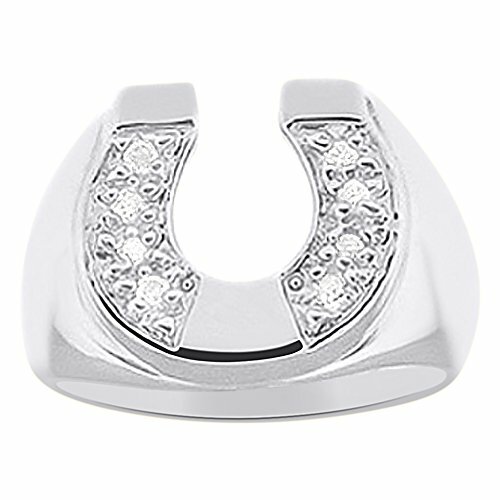 This good luck men's horseshoe ring is an ideal accessory for an everyday wear. 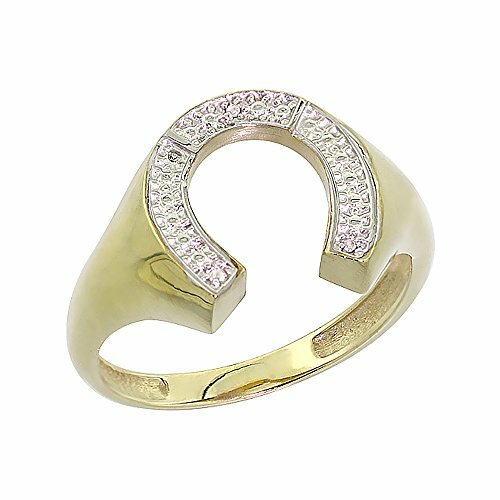 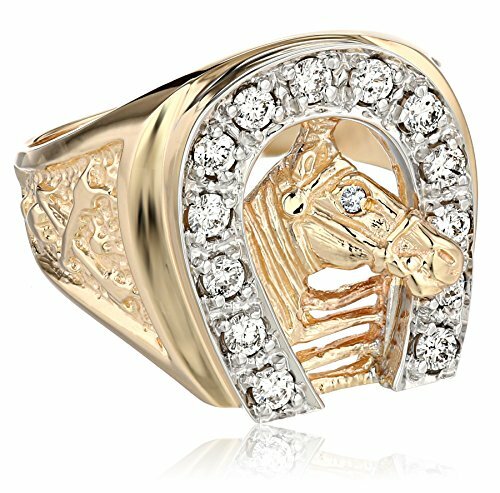 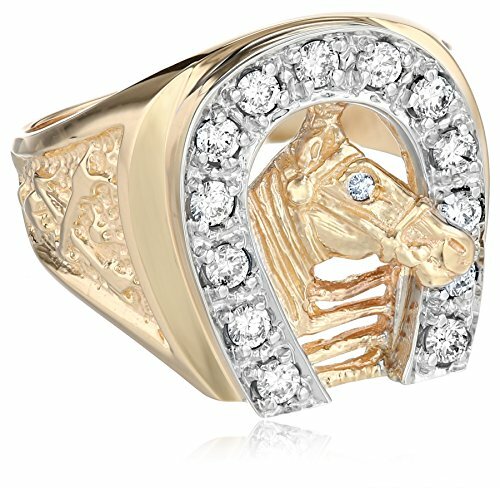 A Large Horseshoe Ring skillfully crafted from Solid Gold adorned with Genuine Diamonds. 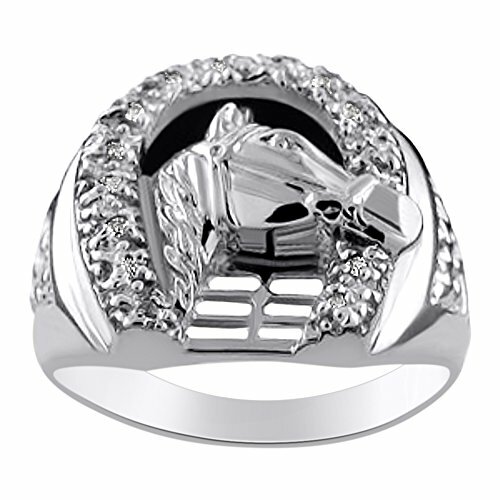 Expert quality and excellent workmanship. 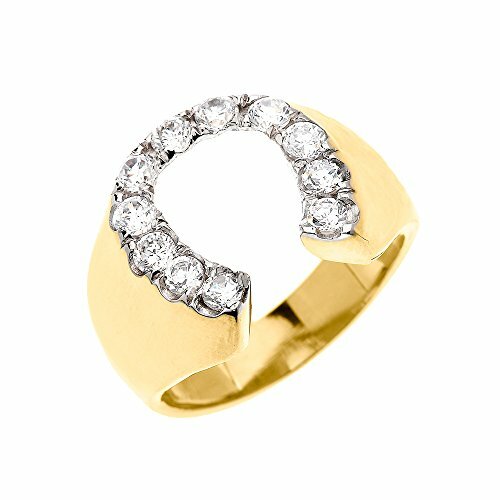 Available in sizes 8 to 13 with half sizes.